It is winter here in New Jersey. Time for braising and stews. This time of year with those meals we tend to go for the bolder wines and we are always fond of a good bordeaux. 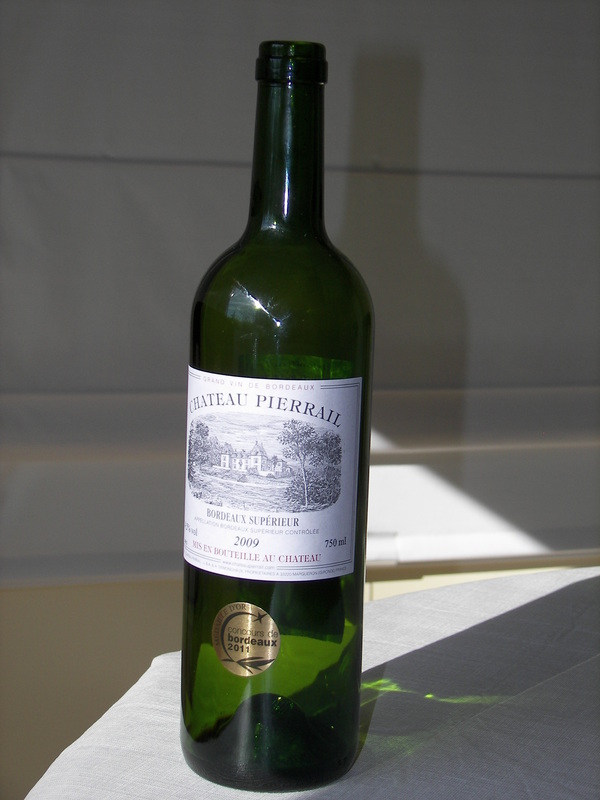 Although the flipside is usually a good Bordeaux is as they say en français, très chère (in french, very expensive). So the other day while the lamb shank recipe was in the oven, I ran to our local liquor store and was searching for Bordeaux. My old familiar labels were sold out (!). Everyone cooking and drinking wine like us? Anyway, discovered a great Bordeaux I wanted to share. Beautiful ruby color and taste. Best Bordeaux at this price point in memory. It went great with our lamb shank and we are running back to buy more because the price is right at $17/bottle. Bordeaux is a low-lying region in southwest France which is naturally divided by the Gironde River. Major areas in Bordeaux are the Left Bank, the Right Bank, Graves, and Entre-Deux-Mers. Without question Bordeaux is the most famous wine region in the world, producing some 850 million bottles each year. Many of France’s most exquisite wines are produced in Bordeaux. The region is comprised of about 290,000 acres of vineyards, with more than 7,000 chateaux, including the five best-known and generally most expensive red wine producers: Château Lafite Rothschild, Château Margaux, Château Latour, Château Haut-Brion, and Château Mouton Rothschild. Almost 90% of Bordeaux wine is red. As a rule, the Left Bank produces Cabernet Sauvignon-based red wines, while the Right Bank produces Merlot-based red wines. South of these areas, Graves produces both reds and whites from Sauvignon blanc and Sémillon grapes.